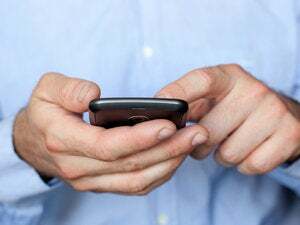 Klausner Technologies, a company with 25 patents related to visual voicemail technology, filed a lawsuit charging Motorola and Research In Motion with infringing its patents. The suit follows others the company has filed against a long list of companies including Google, LG Electronics, Cox Communications, Apple, Verizon, Vonage and Qwest. Verizon, Apple, AT&T, eBay and Sprint Nextel are among 24 companies that now license the technology from Klausner. Klausner charges Motorola with using its patents without permission in the new Cliq phone, which runs the Android operating system. Klausner also says RIM is using its patents without permission in the 3G BlackBerry Bold 9700 phone. Other BlackBerry models offer visual voicemail also, but they are covered under licenses granted to mobile operators, Klausner said. The suit, filed in the U.S. District Court for the Eastern District of Texas, seeks damages and an injunction against continued use of the patents. It accuses both Motorola and RIM of infringing on two Klausner patents. Visual voicemail, popularized in the iPhone, lets users view a list of their voicemail messages and choose which to listen to. Motorola and RIM did not immediately respond to a request for comment by press time.